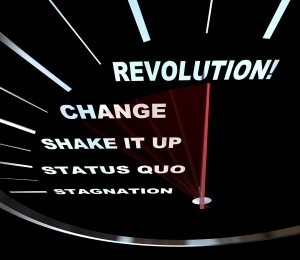 If you or your stakeholders think that embracing the status quo is the path to thriving, then think again! – Think you can sit back and coast for a few weeks, a few months, a few years? Think again! – Think your competitors will sit back and coast for a few weeks, a few months, a few years? Think again! G. K. Chesterton wrote, “If you leave a thing alone you leave it to a torrent of change. If you leave a white post alone it will soon be a black post. If you particularly want it to be white you must be always be painting it again; that is, you must be always be having a revolution.” Without intervention , without progressive change, without revolution, everything in our work and our lives gets worse . Our bodies degrade, our relationships fizzle, our jobs disappear, and our ideas become obsolete (it has happened to countless organizations and to most of my friends). Face it: We are either breaking out of our spirit-sucking routines and breaking through to new insights and experiences, or we are breaking down. So when the opportunity to step out of your comfort zone arrives, and it will definitely come, take it. Say no to the sure thing and say yes to a creative challenge. Say no to short-term, comfort producing activities, and say yes to fear, passion and leadership. Let’s take a moment and look at how innovation has evolved in a racing pit stop. 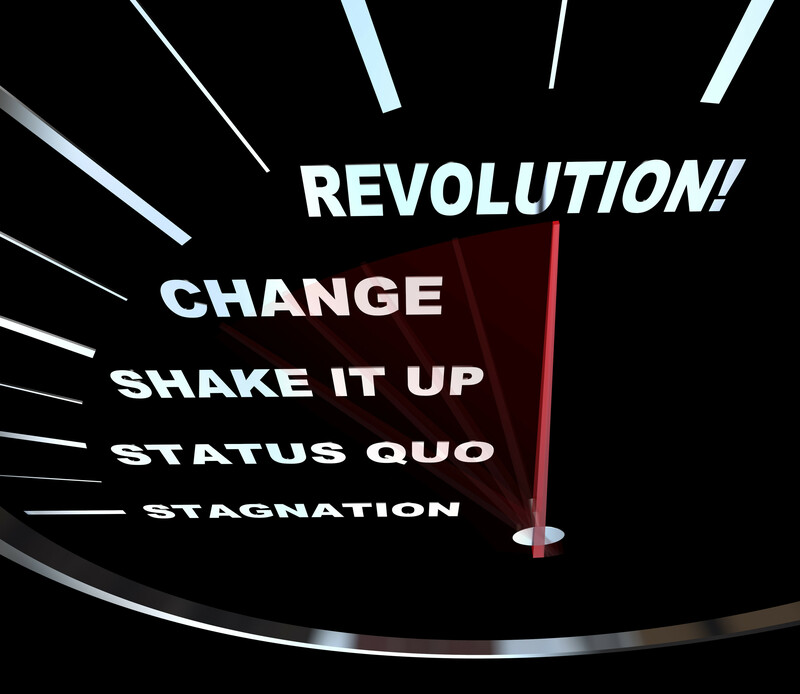 We aren’t seeing an improvement from 67 to 3 seconds through embracing the status quo. And, you have to believe they aren’t finished innovating. Races are won/lost by fractions of a second. Racing teams need to look for continuous improvement. Ruthlessly attacking the status quo in strategy, products, services, systems, processes and business execution is how companies and leaders thrive. Bring on the revolution! Is your company thriving? Few are. Give us a call at (909) 949-9083, email us at info@group50.com or request more information here to find out how Group50 can help you thrive.